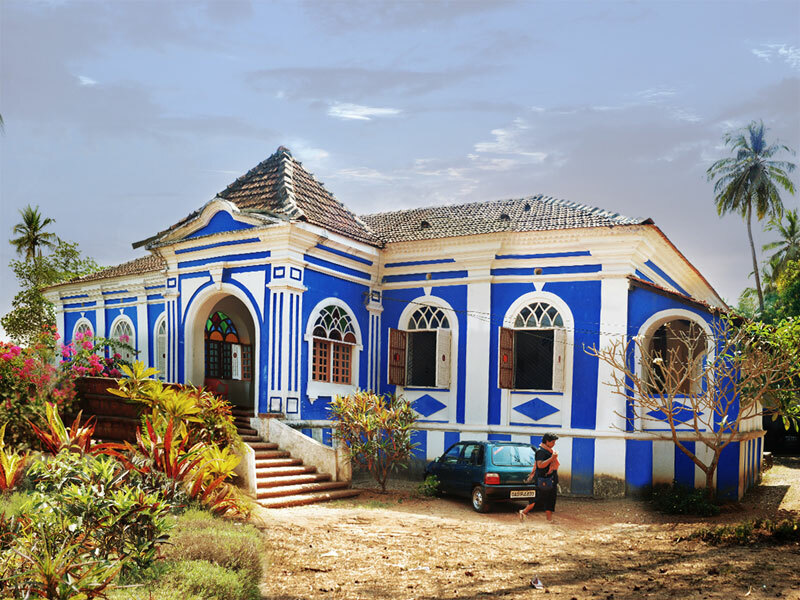 The Portuguese may have left 56 years ago, but the influences they left behind in several fields of Goan culture, including architecture, has seen Indians jostling for second homes in this piece of paradise. It is now not uncommon to spot nameplates fixed on gates announcing politicians, Bollywood stars, cricketers, fashion designers and Delhi’s cocktail circuit as residents of a Goan neighbourhood. And the demand is particularly for those houses of Indo-Portuguese architecture that were built by Goans during the Portuguese era. As for prices, there are no blanket rates, say real estate consultants. Houses in a dilapidated condition are being offered at Rs 2 crore and the price increases for those in better states of maintenance. Prices also vary according to tradition and history of the house. Houses, in which elite Goan families once lived, are quoted for a higher price. Green, leafy, quiet neighbourhoods and quaint villages add to the value. “Upper class Indians want houses of Indo-Portuguese architecture. These houses are not being built anymore in Goa. They are becoming a rarity and it’s a novelty if you live in one. It is similar to a rich Indian wanting to buy a palace in Jaipur. These houses will also have not less than 500 sqm of land around it. The rich want their own private parking, porch and a garden around their homes,” says Porus Adi Doctor, who has been in the real estate business in Goa for over a decade. The rarity of these houses also plays a part in the economics of demand and supply. “These houses now account for just 8% of the houses in Goa. Of this figure, only around 4% are marketable or saleable,” he adds. Contrary to public perception about Goa, the craze for real estate is restricted to the Velhas Conquistas (Old Conquests) areas, which gained their fine blend of local and European influences over 450 years of Portuguese presence. The Old Conquests are the present-day talukas of Bardez, Salcete, Tiswadi and Mormugao. The number of heritage houses bought by rich Indians in Bardez could be much higher as compared to in Salcete and Tiswadi. A few real estate agents also say Indo-Portuguese houses on the islands of Divar and Chorao are a big draw for the exclusivity they offer. In Bardez, it is not a secret anymore that the village of Assagao, with its quaint villas dotting the thickly-wooded landscape, is referred to as ‘mini Delhi’ with almost every third house bought by a Delhiite. In Saligao, old Indo-Portuguese houses have shifted hands from Goan owners to foreigners and people from Delhi, Mumbai and other parts of north India. Similar is the case in the villages of Sangolda, Socorro, Aldona, Moira, Guirim and Salvador do Mundo in Bardez. “Many Goan families have migrated abroad with their lovely homes lying in neglect. Some are almost in ruin. One such house fetched Rs 4.5 crore in Saligao,” says Ashley Delaney, a Saligao resident. Cecil Pinto, a real estate consultant from Aldona, categorizes these buyers into serious settlers or investors with speculative interests. “On the other hand, some are not long-term tourists, but rather seriously invest in a long-term relationship with Goa. They are not investors or holidaying here. They live here. They get involved in village activities, attempt to learn the local culture and language and join local institutions. Each village has a mix of both these categories of buyers,” says Pinto.